The official annual Ake Arts and Book Festival journal, Ake Review, gives insights into the festival guests’ takes on many issues, from the mundane to the atypical, and features creative works from other writers. A journal of repute like this is particularly important in a time where there are few consistent print journals around. It serves as a literary space for many Nigerian writers and other African writers, in which young writers could be given a chance of being read. Also, it could be described as an index for measuring Nigeria’s literary outputs. The 95-page journal features an eclectic mix of creative works from the Nobel Laureate, Wole Soyinka; his contemporaries of international repute such as Niran Okewole, Jumoke Verissimo, and Remi Raji; emerging and precocious young writers such as Adeeko Ibukun, Bura-Bari Nwilo, Hymar David, Jite Efemuaye, David Ishaya Osu, and myself (Tope Salaudeen-Adegoke), amongst others; it features, also, photography and art from Tyna Adebowale, Andrew Esiebo and Victor Ehikhamenor. Thus the works range across themes and stylistic maturity. 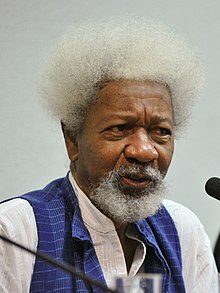 It is always easier when talking about Nigerian poetry to mention names that have defined the niche: Okigbo, Soyinka, Clark, Osundare, Ofiemun, et al. The poetic fruition of these figures have manifested in the new crop of Nigerian poets of today. But while these latter cohorts have been influenced by the earlier poets, there’s been a shift in the thematic focus, to speak more on contemporary issues, and new forms and undertakings have been birthed. For instance, most notable that have collected much praises by respected scholars, like Prof Dan Izevbaye’s, is the neo-classical Tade Ipadeola’s epoch-making The Sahara Testaments, an epic sequence of one thousand quatrains. In the 2015 Ake Review, the decentring tropes of the poems and stylistic experimentations put the label of post-modernism on contemporary Nigerian poetry. The poems articulate with one voice, but the reverberating nuances are not lost in the manifold echoes of their expressions. At the same time as it explores the limits of language, the poem is nonetheless able to communicate, invoking the spiritual consciousness and awakening of the blacks of the Caribbean and diaspora back to Africa. Of course, this style of writing poetry is not entirely new: the British poet, Samuel Taylor Coleridge, also a mathematical poet, has also experimented with a similar form. Both mathematics and poetry use sublime language: mathematics uses symbols, numbers, while poetry uses imagery, words. And as Professor Cai Tiaxin of the department of Mathematics at Zhejiang University observes, ‘Both mathematics and poetry are products of imagination’. So the fusion is an unseemly practice that has always been closely knitted. ‘Continuation’, which can be read as a continuation of ‘Thirty Two’, gives a sober reflection of screams spent. Now at daybreak, ‘sorrow finds a resting place inside a jazz saxophone’ and the persona occasionally broods about ‘a naked face’ that has been seen. There comes a revelation for the ‘she’ also; she gains sight by the end of the poem to the beauty of ‘a rainbow drifting across the garden city’. This second poem in theme, tone, style of conveyance is similar to that Kahlil Gibran’s ‘How I Became a Madman’. The progression with which ideas follow in the poems delights – the poet does not just light a candle and run about in the wind. Though the ideas seem unconnected on the surface, on closer scrutiny they are intricately conjoined. This is one of the features of the Dadaism movement which the poet unwittingly, perhaps, leans to: the tradition of that visual poet, Apollinaire, who inspired the Dadaist founders. David is an auspicious poet and it is easy to divine the future of the poetry scene in Nigerian literature with young poets like him. 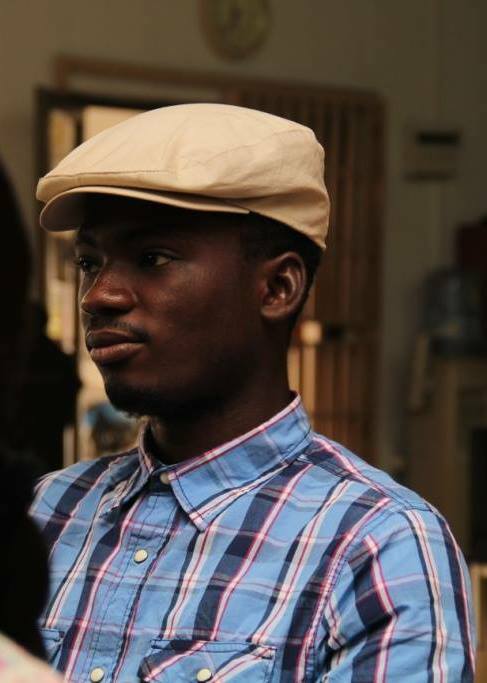 He is also probably one of the most anthologised young Nigerian poets. Another Ake Review poem worthy of analysis is Niran Okewole’s ‘Haiku’. Niran Okewole is amongst those who have carved a niche for themselves, because there is an almost inimitable signature to their writing. Okewole’s poetry is capable of infecting a dead body with goose rashes. With two previous books, The Watchman Trilogy, a play, Logarhythms, a collection of poetry, and now his latest volume, The Hate Artist, he asserts a place for himself which no critic can disclaim. ‘Haiku’ is not in the traditional haiku form of seventeen syllables evoking a sense of naturalism, but rather explores a medical condition of delirium and psychosis. The poem is condensed, wrapped in medical jargon, but it is still open to interpretation. It only requires patience from a reader to fully appreciate it and to be taken into the theme of the poem. The dance is made into a ‘frenzy’, id est, a popular culture, sweeping everything in its wake. It is only to be expected such recklessness of a fad should explode in ‘colours and spectra’ and ‘recursion and chaos’ when it is contracted. But at last this teaches and makes disciples of ‘Diogenes’ as the ‘pus in piss’ necessitates ‘a consult’. In soberness, in the last sequence, the ailment is compacted back to a symptom ‘clusters of motion’ to be viewed ‘under a microscope’. The poem is overly ambiguous; the diction is condensed resulting in a concision that makes the poem anew every time a reader attempts it. It is a poem that shows the elevated level of erudition and elegance of the poet requesting a corresponding response from a reader. Ake Review 2015 also presents another poem by an emerging poet: the Babishai Niwe award winning poem ‘A Room with a Drowning Book’ by Adeeko Ibukun, another poem of cultivated creativity that challengingly enchants. It is drawn in tight distiches and weaved around the themes of affection, (in)equality and illusion of satisfaction. Poems by well-known poets also feature in the Ake Review 2015 are also poems by well-known poets, such as ‘This Garland Too Light Yet on Creation Day’ by Prof Remi Raji, a praise poem in honour of the Ake Festival 2015 headliner, Prof Niyi Osundare, while ‘Agoo!’ by Deji Toye is a requiem to the late Prof Kofi Awoonor. The poem is a reminder of the terrorism afflicting African nations and the world. There is a Yoruba proverb that goes thus: ‘Égún nlá nni kéyin ìgbàlè’. It could be loosely translated as ‘It’s the biggest masquerade that comes out of the coven last’ meaning it is the best that is offered last. And the final piece in the Ake Review 2015 is the poem of Wole Soyinka ‘The Song Eternal’. ‘The Song Eternal’ is a poem of profound meditation that draws us into the knowledge of ethereality. It is a meditative paean to the ether in creativity. Side by side, the theme of transience and the eternal emanate in a lyric narrative form. Soyinka confirms to type in this poem in Ake Review 2015, in which, we have a metaphysical poetic vision. In the opening stanza of ‘The Song Eternal’ the persona of the poem is confounded as he rouses his memory in expressing an indescribable phenomenon. In a quick succession of imagery, he highlights metaphors of his remembrance and tries to ascertain his knowledge of the abstract. The tone, mood and voice in the second stanza is changed in a dramatic force. Now, the poet’s voice runs commentary on the persona’s meditation. The poet empathises with the persona and he, the poet, shares his contemplative, frustration, exasperation. And, at last, these fill the poet with pity as he calls his ‘fevered years’ in ‘life’s apprenticeship’ a ‘burning out in riotous wait’. But that does not yield much either. He raises another question in his soliloquy: ‘Have I then sought you as a pure idea…?’ The line lingers silently into echo. By the last stanza, the persona has gained tranquillity and insight, sure of his intuition. He declares: ‘But now I know you. Irritant in the shell of depth aloneness that must lead to pearl’. He completes his meditation because he reckons now ephemerality is only ‘another pause’. The poem breaches the fringes of imagination and it is an introspective read. It yields the consciousness of self in the art of living. The tongue is caked, the lips unslaked. In quest for that yet undefined. For a run-of-the-mill or poetaster, the first verse would have been a delightful perfection. But the poet laureate, who is no ordinary, easy poet, sought for allusions, in succession, that would imbue clarity to his vision. And what results in the refinement is challenging precision. It shows that metaphors and allusions are not just for adornment and intertextual referencing. They should contribute meaningfully to a poem, line by line, such that it would be difficult to separate any part of it. One thing is obvious. In the later form, the diction is disciplined to run a poetic errand. The poet has mastered his diction, or rather, his diction has mastered him and with ease it runs his poetic errand. In conclusion, the collective poetic oeuvres in Ake Review 2015, from the new and young poets alike, indicate and illuminate the maturity and richness of contemporary poetry in Nigeria. Adeeko Ibukun’s and David Osu’s works in particular show a burst of energy. The readings here have informed me of the great expectations to be harvested from contemporary Nigerian poetry. It is defining its own trends. Tọ́pẹ́ Salaudeen-Adégòkè will continue his in-depth discussion of the Ake Review in coming weeks, focusing on interviews, short story, arts and photography in the Ake Review 2015, and then on Ake Review 2016. ‹ Event: The Global Soul: Imagining the Cosmopolitan, 27-28 March 2017, Washington D.C.